ONE look at Peter and Paul Snowden’s statistics show just how lethal this father-son combination really is. Team Snowden has prepared 277 winners (from 1451 runners) at an amazing 19 per cent since officially forming a partnership in May 2014 but that’s just the tip of the iceberg. Punters who backed their runners exclusively in that period would also be making a healthy profit. 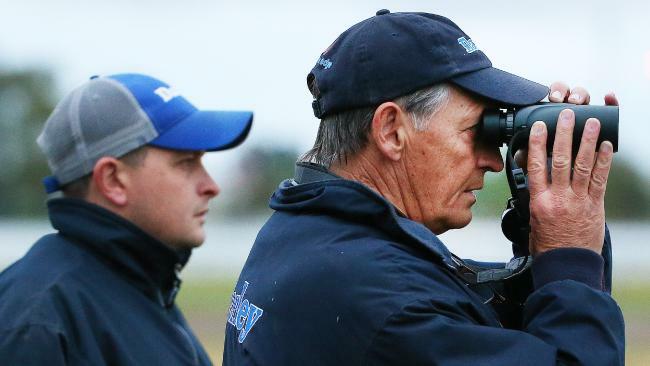 “If you had a $100 (win bet) on each selection you would be $3,060 in front at the best of starting price or three totes,” The Rating Bureau’s Dan O’Sullivan said. Of course, very few, if any, punters would back each of Snowden’s runners exclusively but the stats alone show just how well the father-son team is travelling. Team Snowden will bid to continue the good times when they saddle up eight runners at Rosehill Gardens on Saturday. Co-trainer Paul rates Choice We Had the best of them and gives his thoughts on all eight starters below.